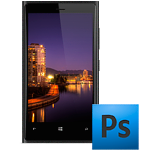 Layered, pixel-perfect Photoshop file of Nokia Lumia Windows 7/8 Phone, consisting of shape layers that allow you to resize the phone to any size without losing quality. Courtesy of Threefifty. Now that the website is getting busier (more traffic, more downloads, and more Facebook fans), we will be doing some updates in the near future. In addition to these, we'll be releasing a brand new Drupal 7 theme for photographers (or anyone who heavily relies on very graphical promotion). Stay tuned fore more updates! 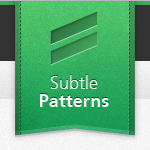 I know no better place to find a simple tileable background texture than SubtlePatterns.com. Website curated by Atle Mo. Life eCommerce was designed with simplicity in mind. White color makes it very cost-effective to showcase your products by simply shooting them on white background. It features an extremely flexible and clean layout, making it perfect for virtually any online store. Product images courtesy of Design Within Reach and Hive Modern. 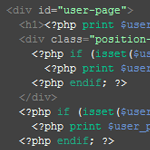 A lighter version of our "Rounded Tabs" theme. This is primarily a business theme, however it can be used for blogging. The Lost Type Co-Op is a Pay-What-You-Want Type foundry, the first of its kind. Founded by Riley Cran and Tyler Galpin, originally in a whirlwind 24 hour adventure to distribute a single typeface, Lost Type has blossomed into a full fledged foundry, distributing fonts from designers all over the world, with its unique model. 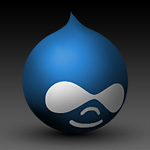 Welcome to the New Drupal STYLE 3.0! 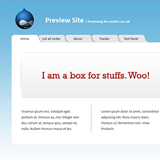 Welcome to the new and completely redesigned Drupal STYLE. First of all, I would like to thank all of our customers who have purchased our themes and services over the last 3-4 years. Thanks to people like you, we are now able to offer all of our current and future themes absolutely free of charge, for both, commercial and personal uses. For those of you who actually read our blog and don't know that we have a Facebook page, you can follow our redesign process of DS 2.0. We update it as we go, so let us know what you think!